I'm ready to pull the trigger on starting an airplane build, now I need to decide which one. I've narrowed it down between a RV-8 and a Harmon Rocket. My question is, how much faster is a Rocket vs the RV-8. I know the RV-8 usually cruises between 180-190 True Air Speed. For the Rocket owners out there, how much faster is it? Trying to decide if loosing the extra baggage space is worth the speed. I owned my early model HR2 for 4 wonderful, fun, adventurous albeit expensive years. 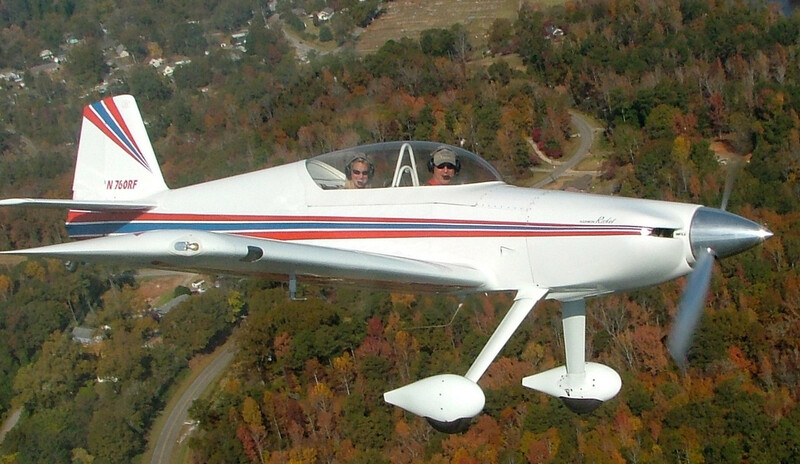 Having flown just about every iteration of the RV8 except the Six banger, there is no comparison. The HR2 is far superior in takeoff, climb and cruise and personally I like it's handling and solid feel in turbulence. The shorter wing with more ribs is higher wing loading and being an RV4 wing with it's laminated spar (vs -8 solid extrusion) is arguably stronger. Cockpit room and rear passenger room are also excellent as well as my extended baggage matched any baggage capability the 8 offers..
Downsides: Building a hybrid kit or melding add on parts to a existing kit. However comma, there is lots of information, parts drawings and expertise available right here. Flyboy accessories as mentioned above offers the F-4 raider mod and F-1 parts now. Other downside is cost. My annual fuel bill & insurance cost was exactly twice my RV4's, for what it's worth. Additionally, I flew it from my 1500' soft home turf strip in FL and took it into many gravel/dirt strips in ID and CO.
Last edited by smokyray : 09-04-2018 at 02:55 PM.